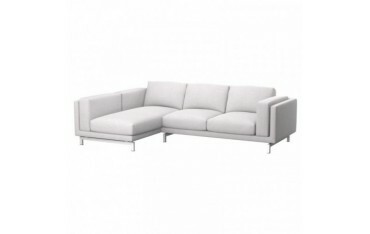 If you are thinking about giving an old IKEA - NOCKEBY sofa that you own some kind of a new life, you are in the most perfect place for performing such an action. 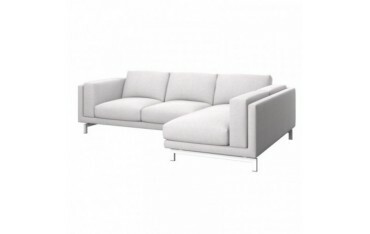 Here, in Soferia, you can easily buy a replacement slipcover for any variant of the IKEA - NOCKEBY sofa you want - the two- and three-seat, and also the two variants with the left and right chaise longue. Most of the upholstery fabrics which are used in production of our replacement slipcovers show such a property of not absorbing liquids. 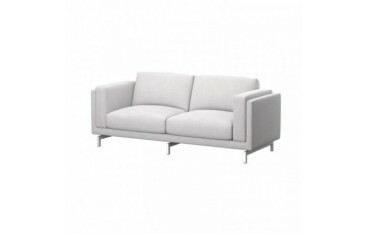 Such characteristics help with taking care well for your IKEA - NOCKEBY sofas. Most of the materials that we sew our slipcovers from, show hydrophobic features, simply in order to make the cleaning easier, and the every day usage - more comfortable. The materials, which our slipcovers are made of, are available in many different variants of colours - both vibrant and soft - and textures of the used materials. 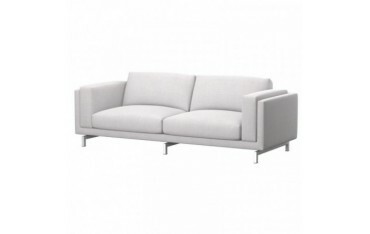 If your sofa was able to talk, it would say "thank you"!